It's easy to see the emotion on this dog's face - it's the heartbreak of being taken from his home and abandoned by his family. 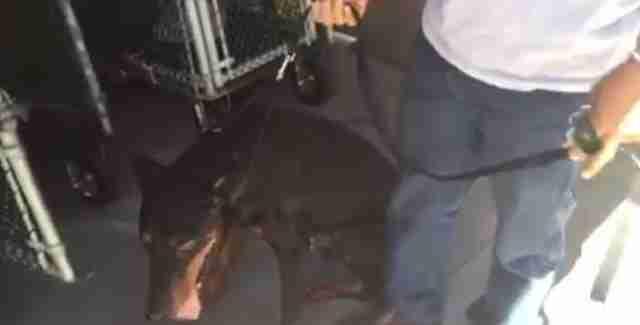 A volunteer at the Carson Animal Care Center, a county shelter in Los Angeles, witnessed Tyson being surrendered by his owners earlier this month. In a heartbreaking video, the 9-year-old dog keeps his head down while his owner explains that Tyson "looks a little old" and is not as active anymore. It's clear that the gentle doberman is scared and disoriented in a new, noisy place - his owner has to force him into the intake cage. 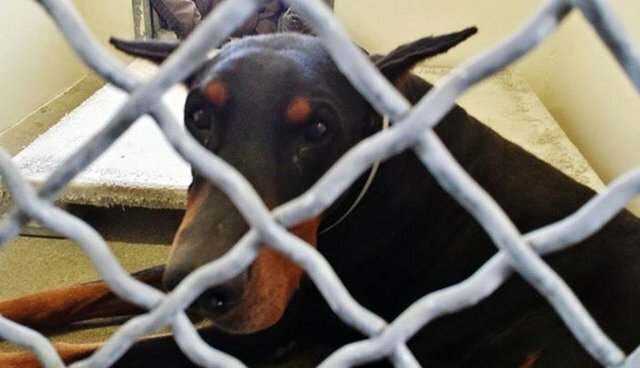 Luckily this video caught the attention of Northern California Doberman Rescue, which pulled him from the shelter. Tyson is now in a foster home, but the rescue's founder, Dana Johnson, told The Dodo that Tyson will likely never be up for adoption. "He appears to have a severe spinal issue," Johnson explained - perhaps that's the reason his former family complained he wasn't as active any longer. "All I can do is make sure he's somewhere where he can hang out and be happy." Johnson plans to arrange a forever foster for Tyson where he will be close to an acupuncturist, so the senior dog can have the best quality of life for as long as possible. 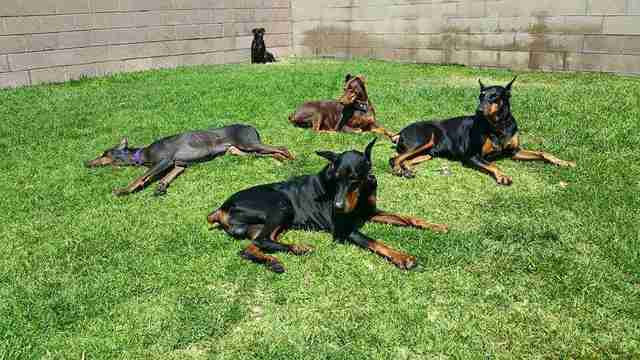 Anyone interested in helping out with Tyson's medical care should contact Northern California Doberman Rescue.